Price strategy is considered as a major task for the entrepreneur. In business, a major problem can be the miscalculation and monitoring of income and expenses. There are scenarios in which a business does not justify itself. The major problem is that there is now demand for these goods but there is only a slight change in profit. How to build a pricing strategy? It is very important that entrepreneurs take note of all the expenses and profits of the business. The price of any product is not only an important factor in deciding profit but it also a big determinant of product sales. The only difference is that in this scenario, you can build a profitable and stable business because the price is a very important factor in consumer decision making. Any buyer making a purchase on the internet should first monitor the prices of goods in different stores. After that, he can then make a purchase. For you as the store owner, it is vital that you establish a fixed price that will be acceptable to the buyer and profitable to you. Every business owner should understand the price the buyer is willing to make that purchase of the product. And, in this way, to create the right pricing strategy. Analysis of the changes in the prices of goods makes it quite simple to create a good price policy. Analysis of the changes in the prices of goods makes it quite simple to create a good price policy. 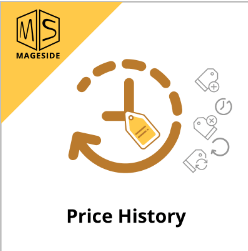 Due to this, the Mageside team provides you with the Price history extension . Write detailed information on product prices. This data is immediately made available in the configuration panel. Making use of API to track the price of goods. Manual tracking of the price of the goods by the administrator. 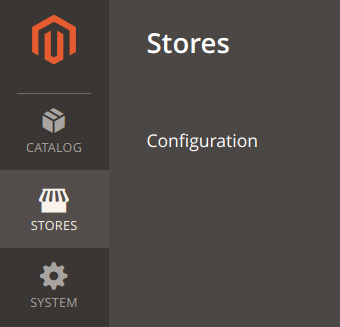 Monitoring the different changes made with Magento import. Enabled – Click on "Yes" to enable the Price History extension. List of Prices Attributes - select the list of prices features. If you want to record all product price changes, navigate to Catalog>Select Product> in the product settings you will find the Price History section. Date – The date which the price of the good was set. Type - The type of price of the good. Previous Price – This displays the previous price of the product. Revised Price – This is the revised price of the product in which +/- shows the difference in price. This means you should not deprive yourself of an opportunity to be successful. 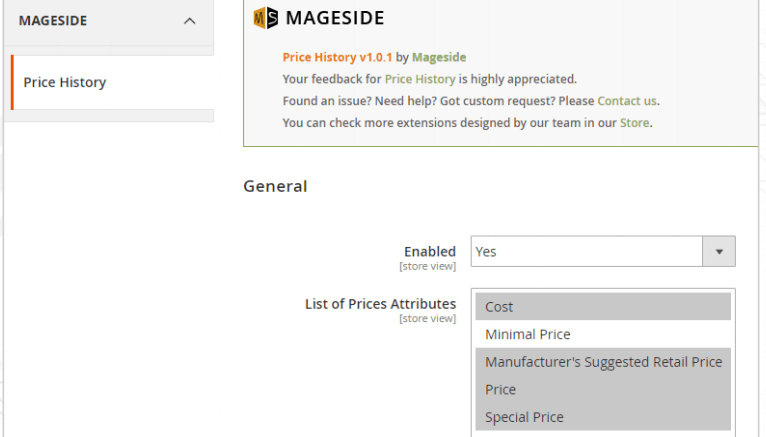 Begin to take track of all prices by making use of the Price History extension in Magento 2. Pricing analysis will make it easier to generate the right work plan for your online store and to also coordinate the pricing strategy. This analysis will also give store owners the opportunity to understand profitability in business and to also edit the possible difficulties of creating an online price policy for the online store. If you have questions on installing the module, then write to us and we will be happy to assist you. Sincerely, Mageside.